U.S. 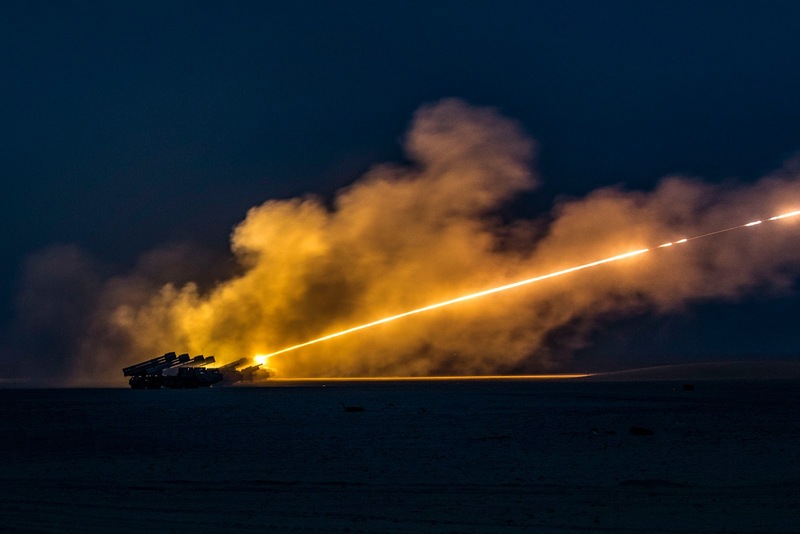 Soldiers assigned to the 65th Field Artillery Brigade, and soldiers from the Kuwait Land Forces fire their High Mobility Artillery Rocket Systems (U.S.) and BM-30 Smerch rocket systems (Kuwait) during a joint live-fire exercise, Jan. 8, 2019, near Camp Buehring, Kuwait. The U.S. and Kuwaiti forces train together frequently to maintain a high level of combat readiness and to maintain effective communication between the two forces.